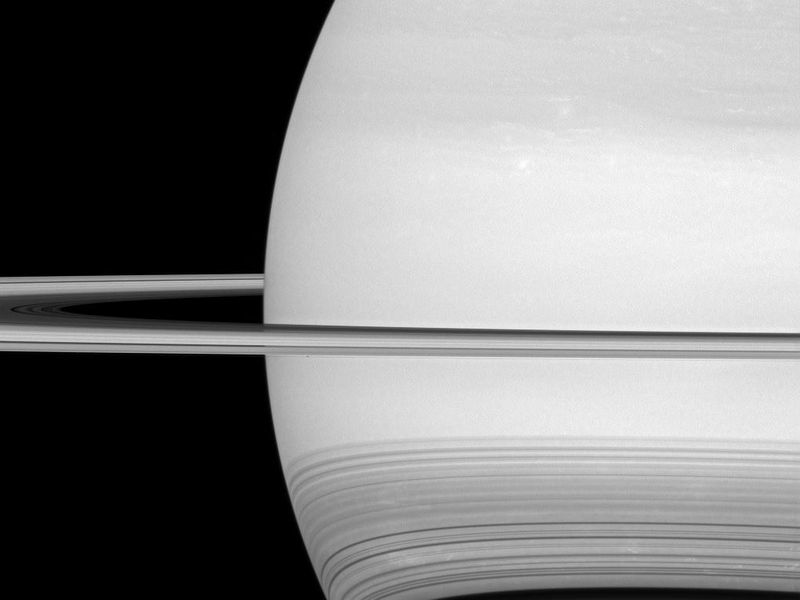 This view from Cassini shows Saturn’s rings nearly edge on. Next April, during the last few months of its mission, the spacecraft will dive in and out of this gap between the planet and rings. Read more about Cassini’s final days in our feature story.